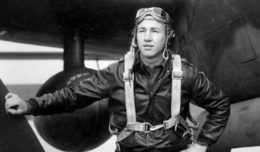 Do you have TRICARE Retiree Dental Program coverage now? If so, then you need to know that the TRDP will end on Dec. 31, 2018. 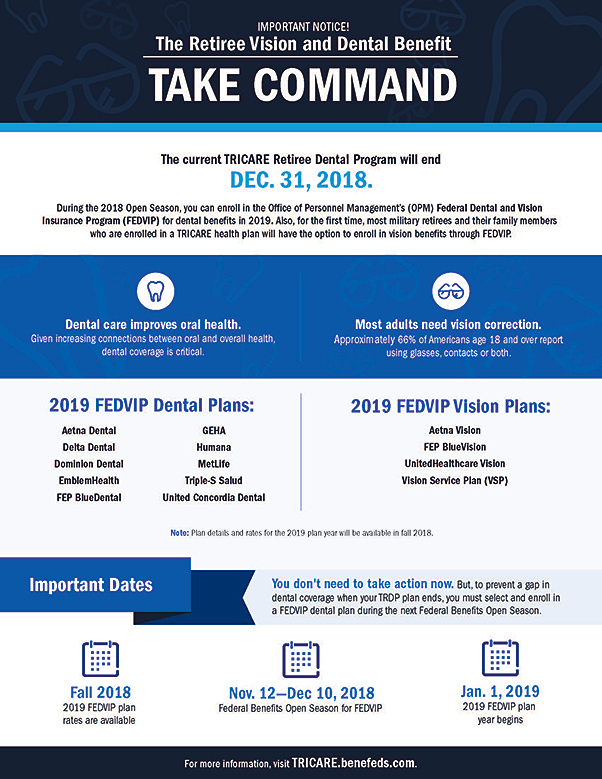 Not to worry — anyone who was in TRDP this year or would have been eligible for the plan, will be able to choose a dental plan from among 10 dental carriers in the Federal Employees Dental and Vision Insurance Program. You’ll be able to enroll in FEDVIP during the 2018 Federal Benefits Open Season, which runs from Nov. 12 to Dec. 10, 2018. Coverage will begin Jan. 1, 2019.